Whether you’re a Mac, Windows or Linux user we’ve got you covered. Kerio Cloud keeps all of your data sync’d across the applications you use every day including Kerio Connect Client for Mac and Windows, Kerio Connect Client via your favorite browser, Apple Mail, Microsoft Outlook, Thunderbird, or any other IMAP or POP compliant email client. Kerio Cloud is a synchronization superstar, and whether you were first in line to get the latest iPhone, favor Android or are still faithfully relying on your Symbian-based smartphone, we use direct push synchronization so the information on your computer always matches up with what comes across on your smartphone screen. 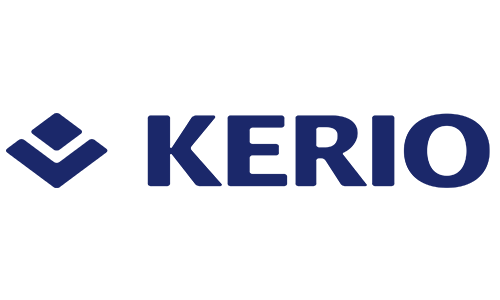 Walk away from your traditional phone service, expensive PBX and specialized phone technician– and embrace hosted Kerio Operator. The cloud-based VoIP service boasts powerful voice capabilities including call handling and routing typically associated with expensive phone systems. Make and receive calls to and from your office number from your mobile device or computer with Kerio Operator Softphone anywhere, anytime.